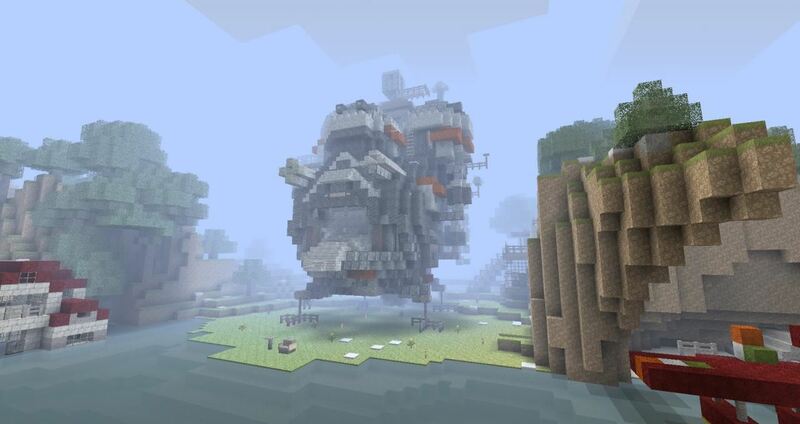 Minecraft is unique among computer games in that some users have created such breathtaking works of beauty and ingenuity that it challenges the very idea that Minecraft is even a game at all, but suggests that it is instead a tool for artistic expression much like Photoshop. 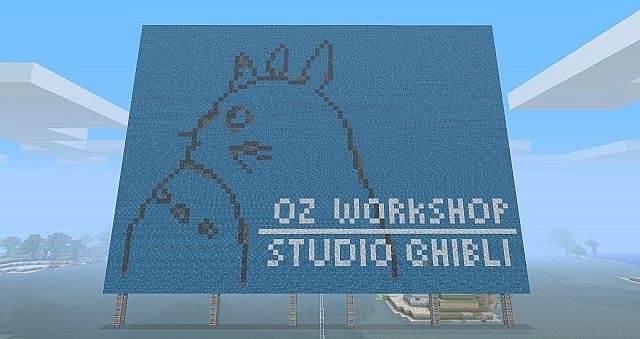 More amazing things have been built in Minecraft than anyone could easily shake a stick at, and some of those builds rocketed to Internet fame, such as the life-sized Starship Enterprise, the fully-realized Studio Ghibli World, and the redstone-heavy 16-bit computer. These builds inspired both the imaginations and envy of millions of people, and nearly everyone who plays Minecraft aspires to create something so great that people around the globe will take notice. But how in the world do you do that? After all, there are definitely more amazing builds than the aforementioned stick can be shaken at, so what chance do you stand? 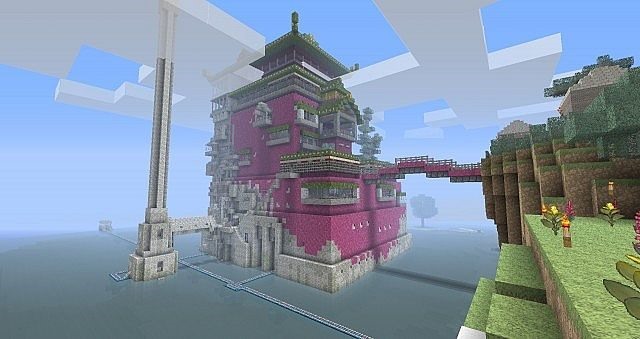 While most impressive Minecraft builds achieved fame unexpectedly, there are still things that you can do to tip the odds in your favor. By the end of this article, you'll have a good idea of how to really impress everyone with your work and then you, too, may rocket to internet stardom. Before we get ahead of ourselves with visions of grandeur, let's first examine some of those famous builds and discuss exactly what it was about them that garnered so much attention. The first thing that's striking about this build is its sheer size. 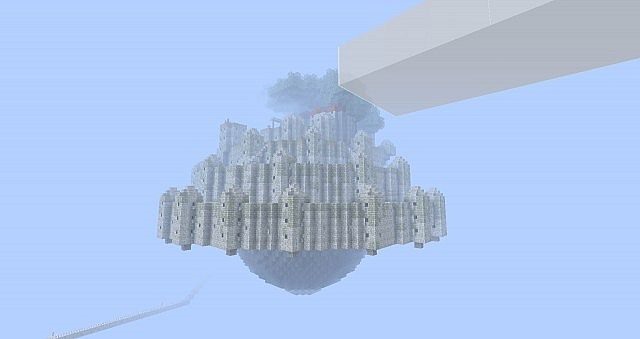 In fact, all of the really famous builds have been huge, which tells us that at least where Minecraft is concerned, size does matter. 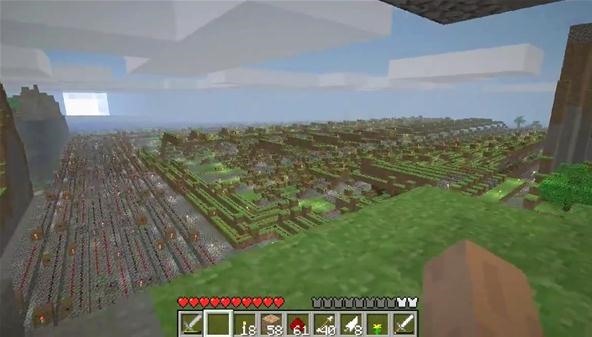 Part of the reason for that is the first-person interface of Minecraft, which gives users a sense of scale. If this same version of the Enterprise was at, say, 1/4th of life-size, no one would care about it. However, in the video it towers over the tiny avatar, representing more than just a giant build, but also the tenacity and ability of nerds all over the world. And believe me, I say that with love in my heart. In an interview, builder Joshua Walker suggested that part of its appeal was the visible framework which somehow served to make it more real and 3D than if it were skinned. He may or may not be right, but it certainly does make for an imposing silhouette. Due to the cyclopean nature of this build, we're going to call it the size matters type. 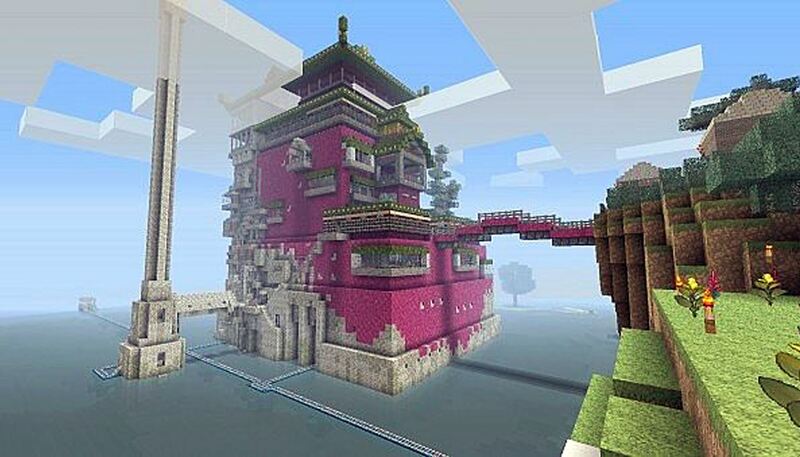 While any one picture below is certainly impressive, it's not especially awe-inspiring until you realize that it's just one small part of an enormous build which features faithfully reproduced scenes from at least six different Studio Ghibli films, including the well-known Spirited Away and Howl's Moving Castle. So, what is it that made this one famous? Again, size is important, but this lacks the sublime insignificance that the full-size Enterprise can instill in a person. Instead, this build confers a feeling of immersion. Everything in sight range is perfect and it's that perfection that allows a sense of wonder to creep in. If these buildings were incongruously planted in the middle of an endless, flat world, it just wouldn't have the same impact. The artist here has done more than recreate buildings, they have instead recreated entire scenes. That's really the most important part here, and we're going to go ahead and call this an attention-to-detail type of build. This video may seem entirely at odds with the two prior examples, because there's nothing aesthetically pleasing about it at all. Honestly, it's not much to look at and even what it does is relatively unimpressive. It performs binary math operations by placing torches. It didn't even have the good grace to use switches, and yet millions of people have watched a video about it. Why? There are a few reasons, the most important of which is that this was a brand new idea at the time. This was made back in 2010 when most people playing Minecraft had no idea that it was even possible to use redstone to build working computers. In that case, the sheer innovation is enough to make it interesting to people regardless of what the build itself actually looks like. Additionally, the narrator of the video goes into enough detail while speaking to impress the average person, who of course has no idea how computers work. This contributes to the sense of awe that we saw in both previous builds that we've looked at. Really though, the most impressive part is how creative people thought this build was innovative, so we're going to go ahead and refer to this as an innovation type of build. Time to Get Famous Yet? Yes, it's time to get famous. Well, of course you have to build something first. Well, let's look at examples of each type of build that we've discussed. This build is enormous, and if you go this route you need to make something Big with a capital B. So big, in fact, that even with the view distance cranked all the way up, your computer may have a hard time handling it all at once. Because the bigger something is, the higher resolution it has. That is, if each block is a pixel, the bigger something is, the more pixels it has. Use enough pixels, and it can have an impressively high resolution, especially on 3D objects. The key in this type of build is to impress people with the sense of scale. Make something that dwarfs them, and makes them feel tiny. Not even a skyscraper is big enough... it needs to be BIG, like a huge representation of the solar system. This is probably the easiest one to make, but it requires an eye for detail that not many people have. In order to get people's attention with this style of build, you have to do more than create objects, you have to create atmosphere. Sometimes literally, like in the picture below. In the above picture, do you see how the fog obscures the background a little bit and gives it a real cinematic feel? Instead of the terrain ending abruptly, it gracefully fades away into the mist. Create a mood with your build, and use the surroundings to your advantage. Minecraft has a day/night cycle, and it can even rain or snow. Don't hesitate to use all of those in order to evoke a feeling in your viewer. Want a sense of mystery when you take screenshots? Use some fog. Drama? Use some rain. You have all kinds of tools at your disposal. 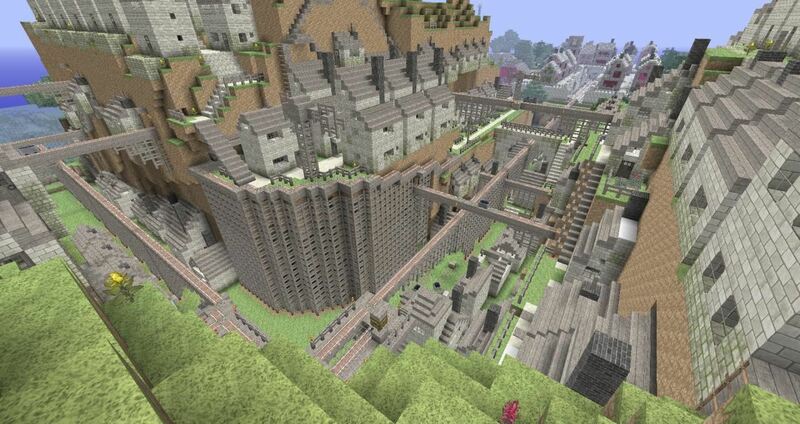 This build requires that you remember how fully immersive Minecraft can be, despite its blocky nature. If a block is in the scene, make sure it's there for a reason. Examples of this type of build would be a recreation of a film noir scene made entirely of black, white, and gray blocks. Or a fully fleshed out recreation of any real city on Earth that would be easily recognizable to the average person, like London in the rain. This is the hardest build to make, even though it could potentially be quite simple. The problem is that it requires you to do two really, really difficult things. First, you have to make something that no one else ever has, and second, you have to make something that people would be interested in. Doing any one of those things is relatively easy, but doing both of them at the same time is hard. 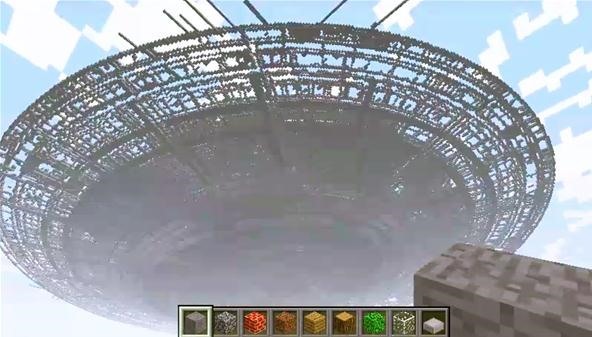 The best way to get ideas for this type of build is to look at things that other people have built and think to yourself, "That's a really cool idea, what else could I do with it?" Every single great invention in human history has borrowed from the inventions of others, so don't be shy about using bits and pieces from other people. Just make sure that you're not lifting their design wholesale, and are instead adding something unique to it. Now that we've broken down all of the build types, what you should do is decide which style most appeals to you and then start thinking about how you could make something that would embody that style. Are you good at making huge things? Go for the Size Matters build. Are you good at thinking outside of the box? Try an Innovation build. Do you have a high attention to detail? Well, you can figure out which one to use. Now, go use this knowledge to start thinking of some really awesome builds that will impress more people than just your mom and your friends. If the stars align, you may even experience a meteoric rise to internet fame! I think that ill have to put this to good use! The enterprise exterior (the interior eventually become a team build) was plotted with software and 3D files. Not hand-built.